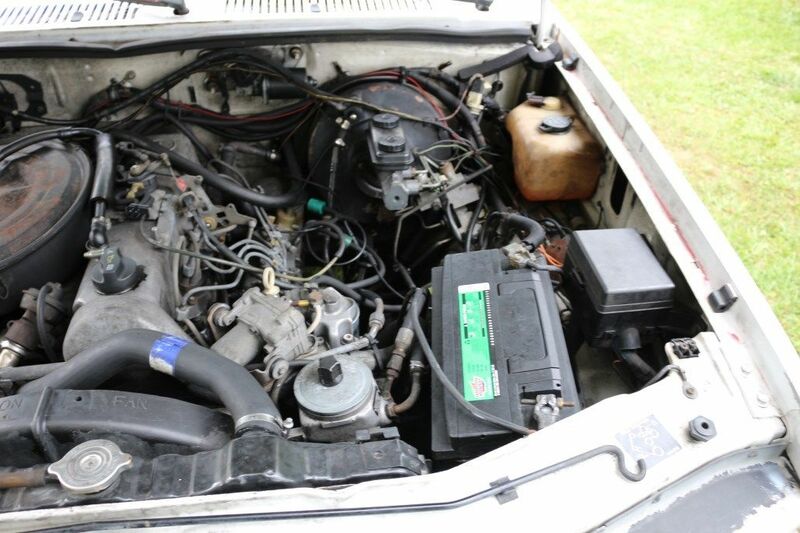 Find this 1980 Dodge Dakota Ext Cab With Mercedes-Benz Power here on eBay bidding for $1,576 reserve-not-met with buy-it-now of $2,999. 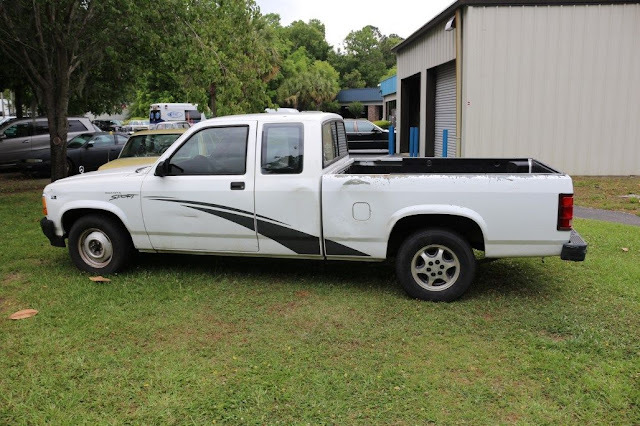 This truck was purchased 15 years ago and taken to a Mercedes Service Center in Charleston, SC and had a 617 Mercedes Turbo Diesel Engine and Transmission swapped in to a Dodge Dakota Pickup. 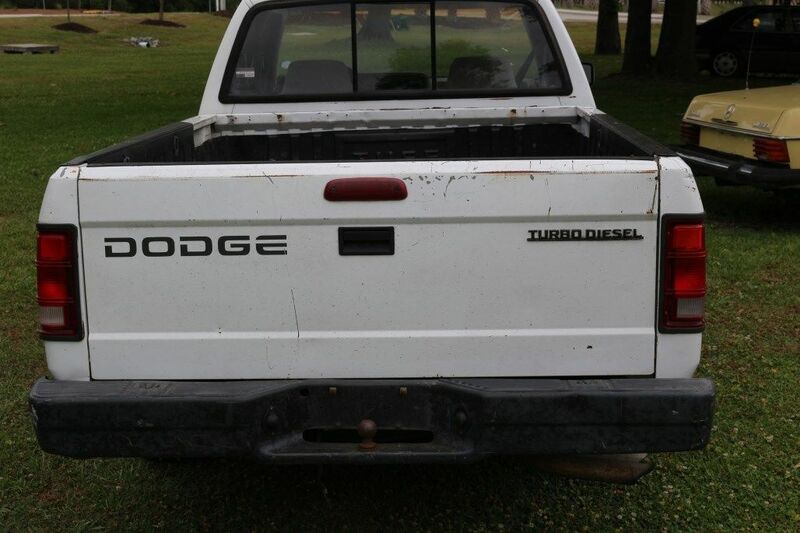 Less then 100,000 miles on Dodge when the swap was done with a low mileage donor Mercedes Drive train. The owner was a elderly man that wanted the reliability of the Mercedes Turbo Diesel and the easily accessible service parts of a American pickup. He ran the truck after that for 13 years or so. When he passed, his family used it occasionally but sold it back to the Mercedes Service Center. They then sold it to a local fellow to run around town who owned it for a year or so before getting a new car for work. He then sold it back to the shop again. And finally the current owner works at the service center and wrecked his car so while it was being repaired he drove it. I would not hesitate to jump in the truck and drive it across the country. This motors can easily do 500k miles. A TON OF SERVICE WORK HAS JUST BEEN DONE. SEE LIST BELOW. All light bulbs checks and replaced so they all work. AC IS THERE BUT HAVENT LOOKED INTO WHY IT ISNT WORKING. The window wiper not working. Gonna try to look into that before sale. Maybe some other issues I am forgetting but will update if I think of something. Feel free to email to set up a viewing if you like. Ask questions. Ask for more pictures. All sales final. Alot of emails. Rust free.....no cancer rust just some sunbaked surface rust. Super solid everywhere. Southern truck its whole life. The truck was the V8 version so heavier chassis. 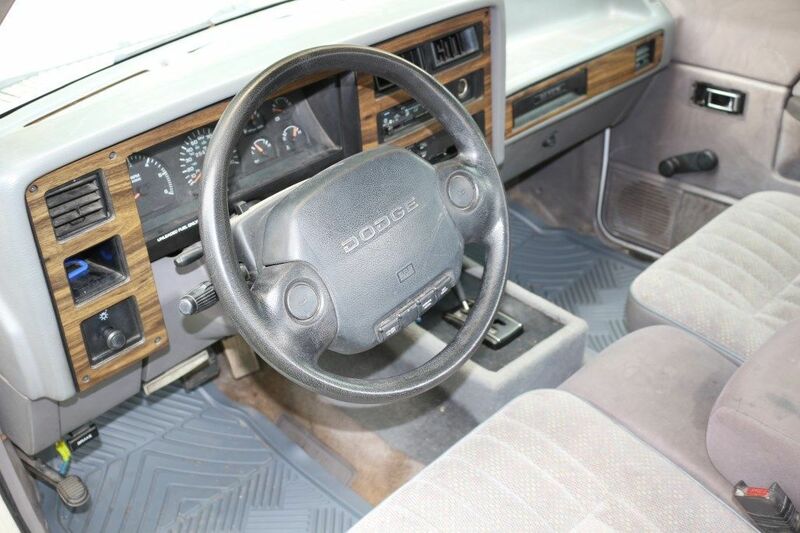 The cruise control is there but isnt hooked up. The truck has dents and dings. See pics. I have a link for more pics if you want to email me I can send you the link. NEW Glow Plugs. Sometimes is a cold blooded truck but when warm always starts. Next step was redoing all fuel lines. Think it has a little leak that causes it to loose prime when sits too long, I may do that as well before the sale. Not an issue just wanted to mention. Interesting concept and a weird story, but I assume the number of states where this is a legal swap (engine way older than chassis0 is limited.